Wedding Photography at The Marriott Hotel, Liverpool. Overlooking Queen Square and within walking distance to Liverpool Lime Street, is the stylish Marriott Liverpool Hotel. Catering for all your wedding day needs, no matter how big or small your ceremony, the dedicated team at this wonderful wedding venue, has it covered. The hotel features an indoor pool and a fully equipped gym, as well as the fantastic dining experiences, hotel bar and grill. 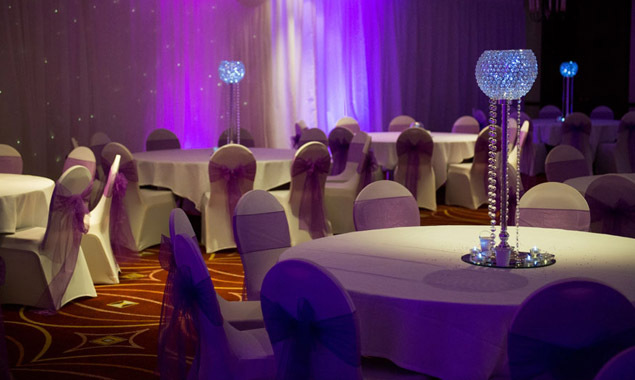 It is perfect to host your once in a lifetime wedding day, in this light-filled venue, including the Merchant Suite. This stunning room has contemporary style and boasts an outside terrace area which overlooks Queen Square – such a picture perfect moment especially when the sun is setting over Liverpool. There some example wedding photographs in the galleries below. The Olivier’s Suite and Bar, is full of character and overlooks the famous St Georges Hall and gardens – perfect for the more intimate wedding ceremony and after ceremony wedding photographs. Being such a short walk across the road the magnificent architecture of Liverpool is yours to take. You have everything you need under one roof, with excellant food, accommodation and wedding services, the Marriott Liverpool has it covered.